Is there anyone on earth who hasn’t at least once in their lifetime wished they could possess superpowers? A super ability to walk through walls, make yourself invisible, scale 85-story skyscrapers and laugh as bullets bounce harmlessly off your chest could come in mighty handy from time to time. And imagine the bragging rights that being able to fly, run 100 miles an hour or use x-ray vision could confer at your next high school or college reunion. Alas, superpowers are strictly for comic book heroes, blockbuster summer movie releases and maybe LeBron James. But we all have the ability to obtain another kind of powers. In fact, I plan to obtain them this year. And if you don’t have these powers, no matter your age, you should look into getting them — pronto. I refer, of course, to durable powers of attorney. These powers are granted for finances and health care, and legally designate an appointee or agent to make decisions for you. Powers of attorney are created by your lawyer, and take effect if you are incapacitated and can’t make your own decisions regarding the disposition of your personal financial assets and your medical treatment. Why is it important to have someone making these decisions for you? If you are incapacitated, and you have no one filling that role, the court will make those decisions. 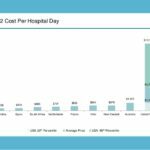 That can be an unnecessary cost and time burden on your family. And it could result in decisions that do not conform with your own wishes. There’s a big misconception that the creation of powers of attorney is strictly for older adults. Yes, it’s true you are more likely to face an incapacitating condition if you are beyond the age of, say, 65. An older person is more likely, for instance, to face a surgery that would leave him or her at least temporarily unable to make clear-headed decisions on key matters involving finances and health. But in fact, anyone 18 or older should have powers of attorney. Is there anything about being 35 and having gathered some savings that would prevent you from being in a car accident that puts you into a coma? Is there anything about being 19 and having strong opinions on how you’d like to be cared for medically that would prevent you from being comatose after a serious snowboarding incident? The younger adults described in the above scenarios benefit just as much as would an older person from legal documents granting powers of decision making on finances and health to trusted friends or family members. For both power of attorney for finances and power of attorney for health care, it’s wise to appoint two people to make decisions on your behalf. Those people are generally referred to as the initial agent and successor agent. If your initial agent cannot make decisions, responsibility goes to your successor agent. Often the agents you choose for health care decisions and financial decisions will be entirely different people, based on their own personal strengths. The person chosen for financial decisions should be one with solid personal finance skills. But that person may not be the best choice to handle your health care decisions. The opposite is also true. Think through your choice of agents carefully, says Sally Hurme, senior project manager of AARP education and research in Washington, D.C. And prior to choosing, you should have a candid discussion with your would-be agents. 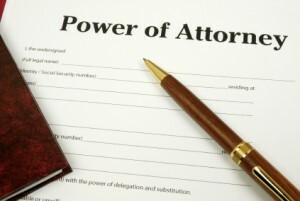 Powers of attorney documents are even more crucial than a will. In fact, they are the most fundamental estate planningdocuments. One attorney told me she often sees clients who are interested in estate planning. They may leave her office without an estate plan, but should not leave without powers of attorney. 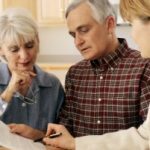 The power of attorney for finances is often part of an estate planning package, with the power of attorney for health care frequently bundled in to that package. While it is important to have an attorney craft power of attorney for finances, Hurme reports it is not essential to have a lawyer handle power of attorney for health care. Health care directive forms can be downloaded from the Internet, she says. Once such site is www.aarp.org/advanceddirectives. Powers of attorney should be updated regularly every few years, and the documents themselves kept secure. Copies should be kept with your attorney, your initial agents and in the case of health care power, possibly your physician. Many folks keep theirs in bank lockboxes and fireproof home safes. So that’s powers of attorney. As for the power to move faster than a speeding locomotive or move things with your mind, that’ll have to wait until you cross paths with radioactive slime.